This past weekend was one of the busiest we’ve had in a while. 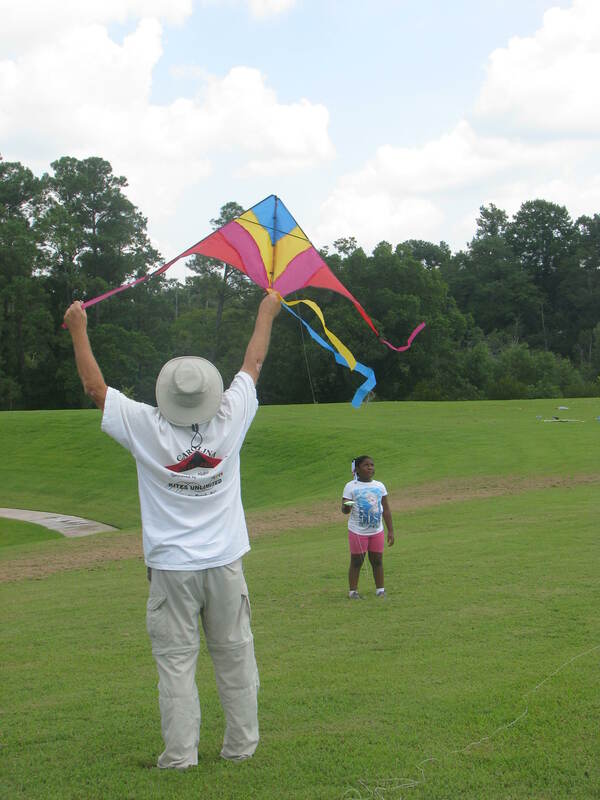 The Carolina Kite Club was asked to participate in Kite Day at Sturgeon City Park in Jacksonville, NC. The Parks & Recreation Dept. sponsored this activity to promote family fun. 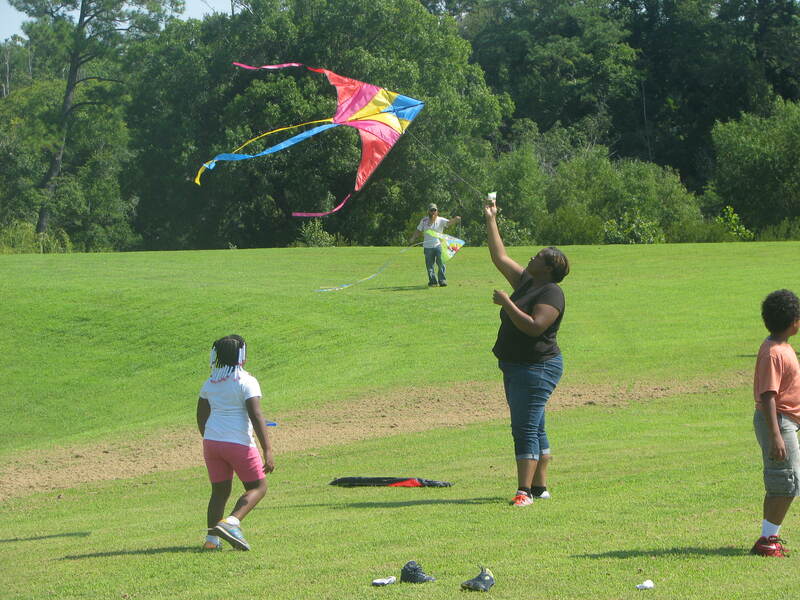 The club was invited to put some kites in the sky and help those attending with their kites. 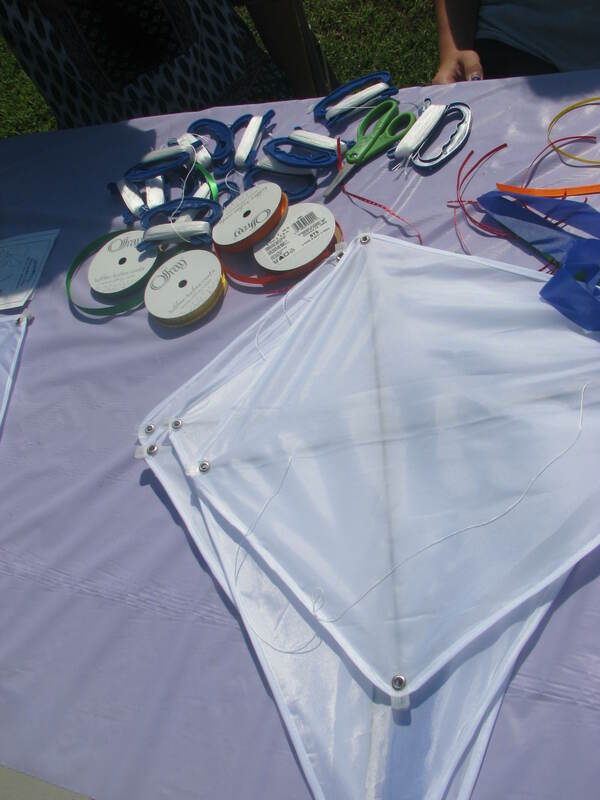 Small diamond kites were provided for the kids to decorate and fly. They could also bring their own kites. Weather-wise, it was great. The temperature was not too hot and the sky had scattered, puffy white clouds. Wind-wise, it was a different story. There was no wind for most of the morning. 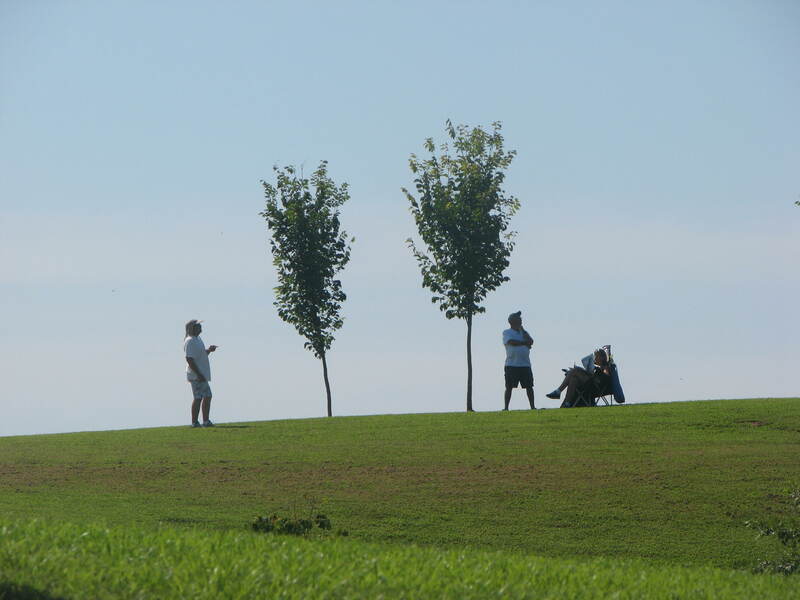 The club members positioned themselves at the top of the hill in order to find what little wind was available. Kites went up and kites came down. 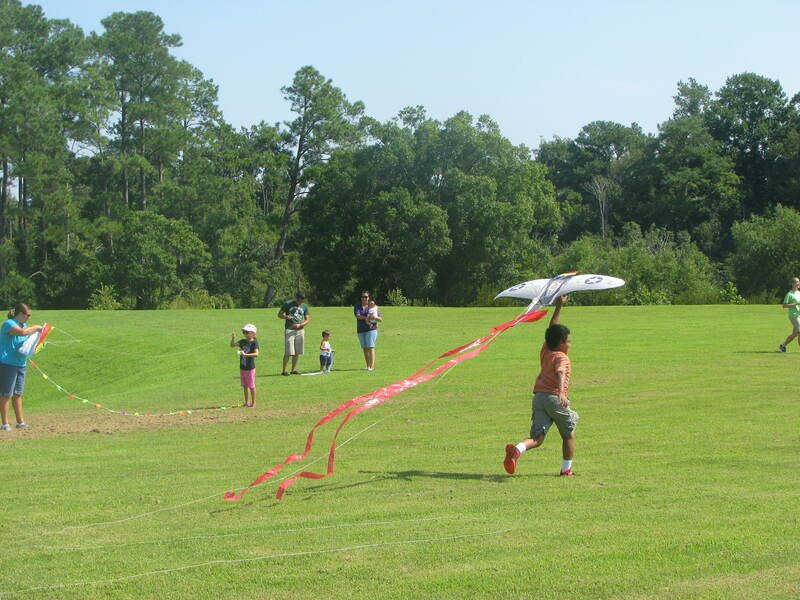 Kids ran around pulling their kites behind them. There were even a couple of optimistic souls trying to fly stunt kites. 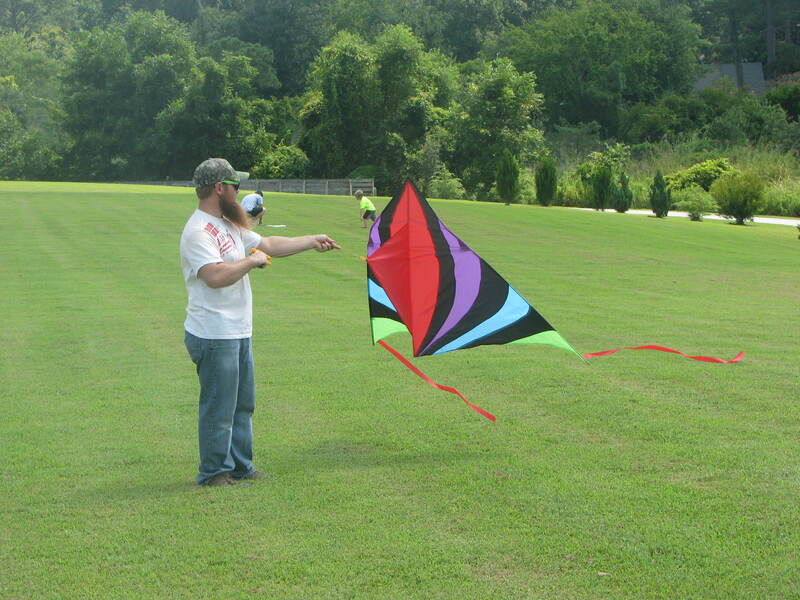 Despite the lack of kite-flying success, everyone seemed to be having a good time at the park.